Did you know you can get some great home decor from something as simple as a wood pallet? You can easily get some great pallets at your local grocery, lumber yard or local hardware store. 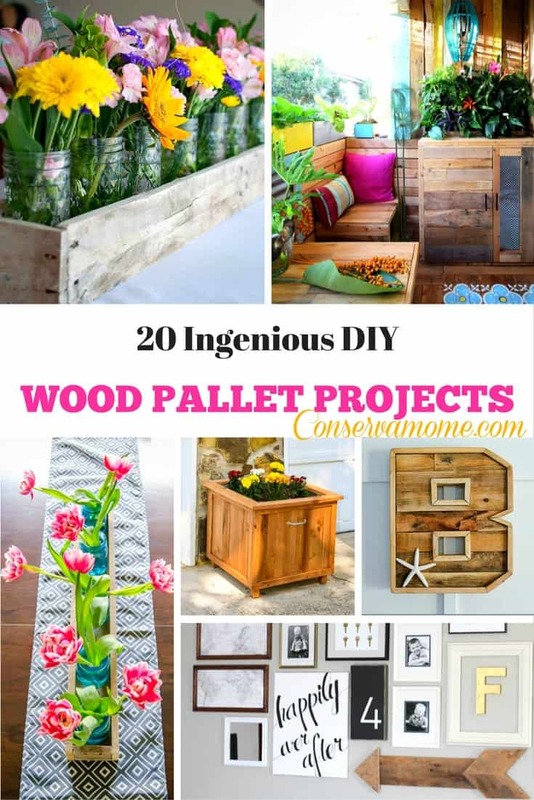 Here’s a list of 20 Ingenious DIY Wood Pallet Projects that you can easily do in your home for your home. Oh man!! These are all amazing!! That cabinet!! Oh Im in love!! All of these looks so festive and pretty. So many ways to really make outside and inside décor. So many ideas! Thank you for sharing the Faux, Pallet Wood Wall Clock from CraftsnCoffee.com. These look like really nice projects. I can’t wait to tell my sister about this post.